X-ray Absorption Spectroscopy is being applied to a widening set of disciplines. Applications started with solid state physics and grew to materials science, chemistry, biochemistry and geology. Now, they cut across engineering materials, environmental science and national heritage — providing very detailed and useful information facilitating understanding and development of materials. This practical guide helps investigators choose the right experiment, carry it out properly and analyze the data to give the best reliable result. It gives readers insights to extract what they need from the world of large-scale experimental facilities like synchrotrons, which seem distant to many laboratory scientists. X-ray Absorption Spectroscopy for the Chemical and Materials Sciences seeks to educate readers about the strengths and limitations of the techniques, including their accessibility. 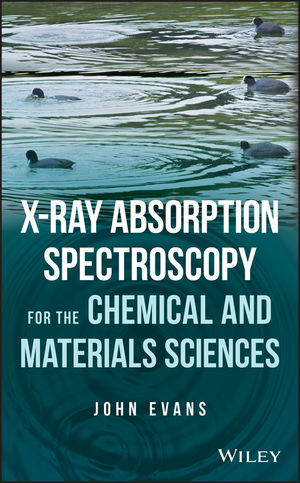 Presented in six sections, it offers chapters that cover: an introduction to X-ray absorption fine structure XAFS; the basis of XAFS; X-ray sources; experimental methods; data analysis and simulation methods; and case studies. X-ray Absorption Spectroscopy for the Chemical and Materials Sciences is aimed at Masters-level and PhD students embarking on X-ray spectroscopy projects as well as scientists in areas of materials characterization. JOHN EVANS, PHD, is currently Emeritus Professor in Inorganic Chemistry at the University of Southampton and a visiting scientist at the Diamond Light Source. Previously, he was Science Program Advisor at Diamond. He was awarded the Royal Society of Chemistry Tilden Medal in 1994 and the Royal Society of Chemistry Meldola Medal in 1978.